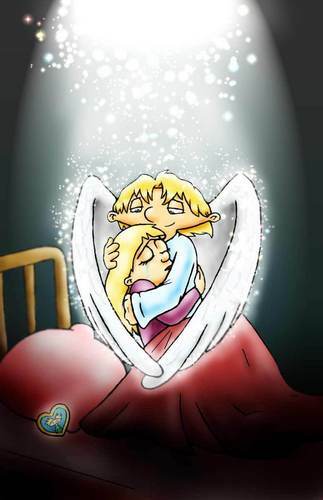 "I'll Be Your Guardian Angel". This reminds me a little bit of the movie "Ghost". HD Wallpaper and background images in the ارے Arnold! club tagged: hey arnold! arnold helga guardian angel fan art bed locket.